The project included: design, page-creation and web-elements development. The website was fully tested and initial content uploaded (documents, articles and news). All of the necessary arrangements were made with the special IT committee to have the site hosted on the department&apos;s own server. EDISON specialists created the design and layout. Around 500 pages and documents were imported from the department&apos;s old website. 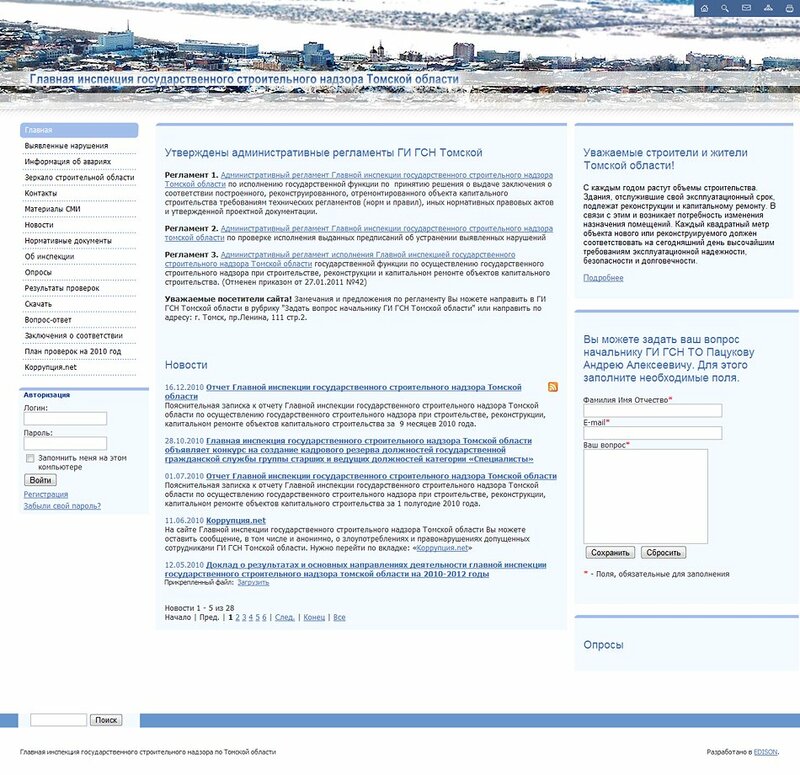 The site was successfully launched in 2008 and contains information about Treasury activities, contact information and business documents. 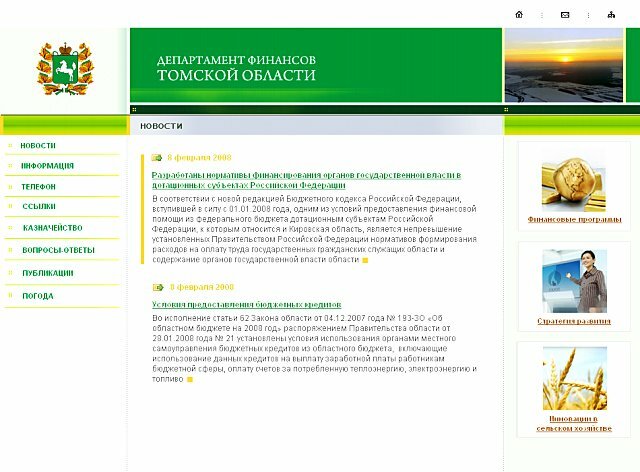 Developed an internet-portal containing information about the activities of the Kolpashevo Regional Administration and its sub-organisations. The website provides full details of council work, contains useful information for members of the public and entrepreneurs in the region and acts as a communications channel with local authorities. The website meets all of the requirements. 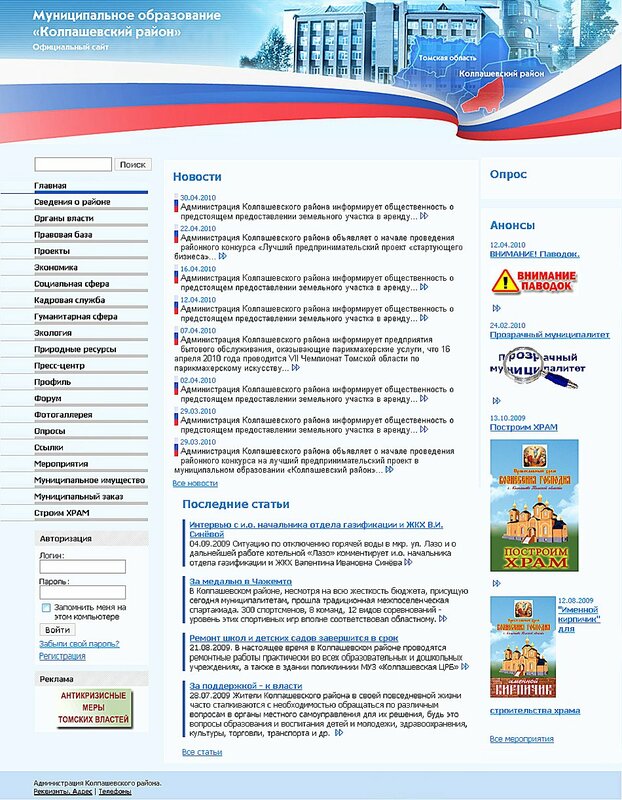 Development and maintenance of a site which fully corresponds to the requirements of the Federal Law on Access to Information on the Activities of State Bodies and Local Self-government Bodies. 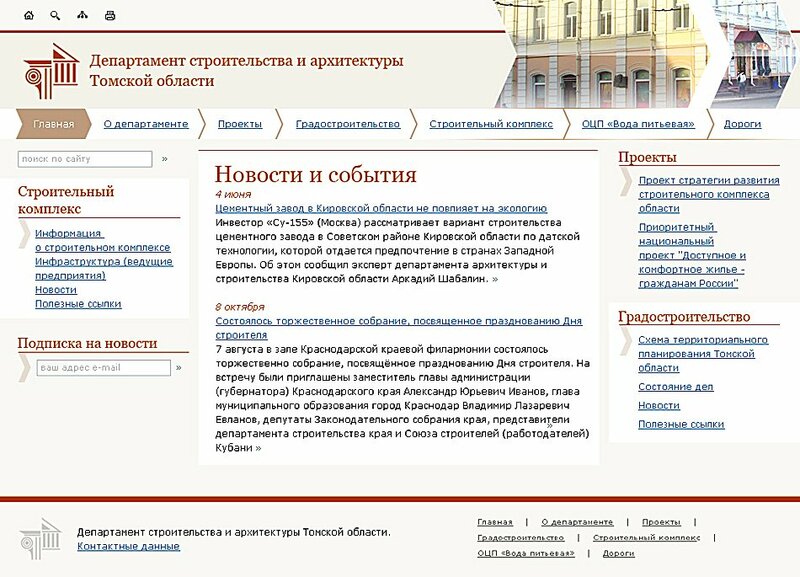 Reports on the activities of the inspectorate are regularly published on the website: examination results, violations found, unscrupulous developers and other information for reference. After the development a technical support agreement was signed, which is extended annually.